Montera Espinosa, who kept in touch with ISTP upon leaving the school after the fifth grade, returned this past spring to complete a high school senior project by interning in our first and second grade English classrooms. In Ms. Jenna’s first grade classrooms, she worked individually with students who required extra help in reading assignments and completing projects. By the end of the four weeks, Montera taught both a math and a poetry lesson to each one of Ms. Nancy’s second grade classes. 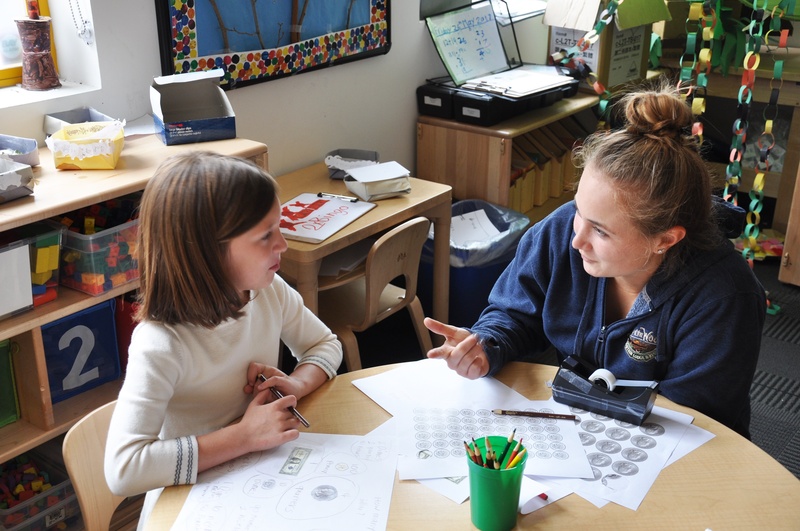 Assistant Head of School Kate Lussen praises, "She has been a truly fabulous intern and is a natural teacher!" Montera working closely with an ISTP first grader during her high school project internship. 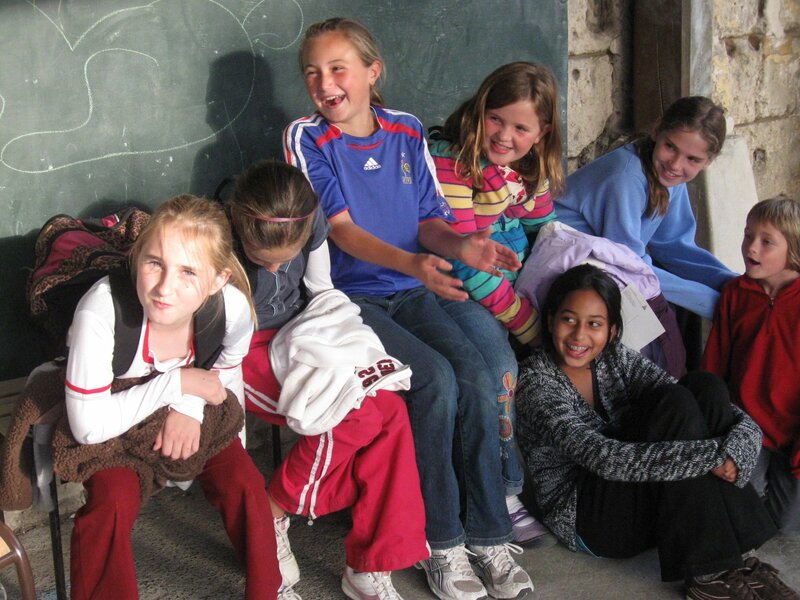 Montera is in fact trilingual as she picked up French again at Menlo School and studied both Spanish and French for all four years of high school. She’s been able to practice her Spanish as a soccer coach to a group of 8 and 9 year old girls at Palo Alto Soccer Club where she converses in Spanish with fellow coaches. 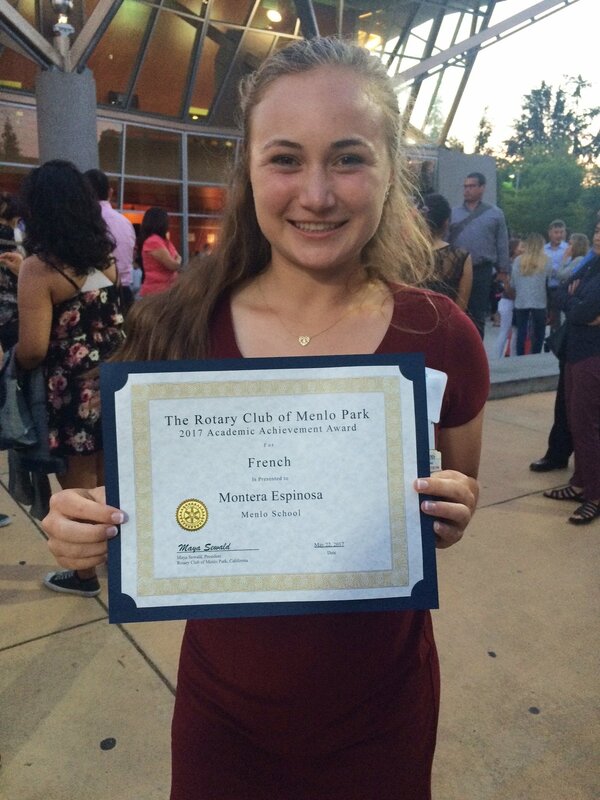 Montera honored at The Rotary Club of Menlo Park’s Scholastic Achievement Awards Ceremony for her academic performance in French. Montera looks forward to being surrounded by amazing scenery and nature in Helena, and hopes to pick up skiing and do lots of hiking. She’ll also continue to stay active on the field at Carroll as a part of the women’s soccer team. Looking at the future, Montera says, “I definitely see myself teaching abroad...I love the idea of being able to teach and use my language skills to experience and see new cultures from around the world.” We are so happy to hear that ISTP has been an instrumental influence in her life. The ISTP community wishes Montera all the best as she embarks on a new endeavor, and we look forward to following all of the amazing things she will do during college and beyond!